I follow multiple networks in Stack Exchange where I select Hot/Week/Month to see what I missed. This is a bit time consuming since I have to switch and click to each one instead of having it delivered to me. I tried my RSS reader of choice to add the feeds but it defaults to Recent instead of the time period I chose. Can anyone recommend a better way? Important: There appears to be a bug in the feed <link>s for such pages, so your feed discoverer/reader may not work correctly. Not the answer you're looking for? 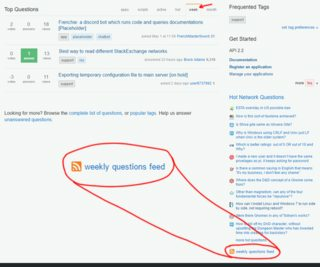 Browse other questions tagged support rss . Conditional GET support for chat RSS feeds? Using Stack2RSS, why can I get feeds for some SE sites and not others? 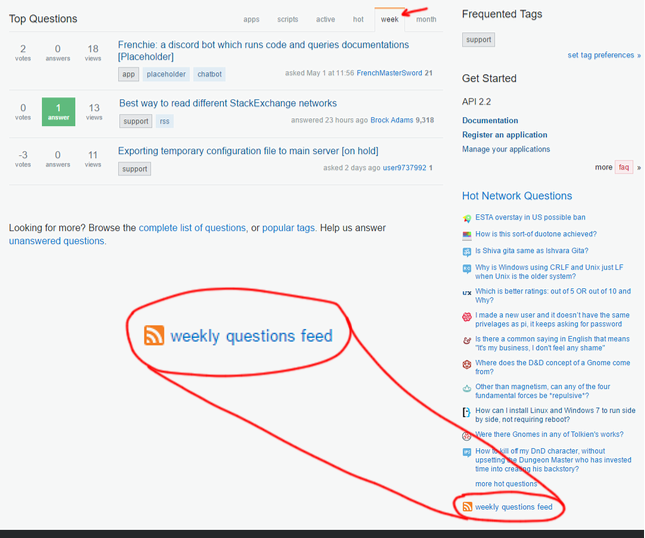 How to access global stackexchange user favourites in a feed?